Science games for kids online take many forms like interactive stories, puzzles, arcade games and more. They may take approaches, but they all have one goal and that is to make learning for kids fun and entertaining. Life Cycle of a Plant requires you to identify the different parts of a flower by making you take apart the flower and placing each part in its appropriately labeled box. If you drag the wrong flower part into a box, it will not stick. If it sticks within the box, that is your sign that you are correct. Once all the parts of the flower have been placed in their respective boxes, you can now read about them by clicking the magnifying glass. If you aren't familiar with plant parts, you will find finishing the game tedious as you will just be guessing. 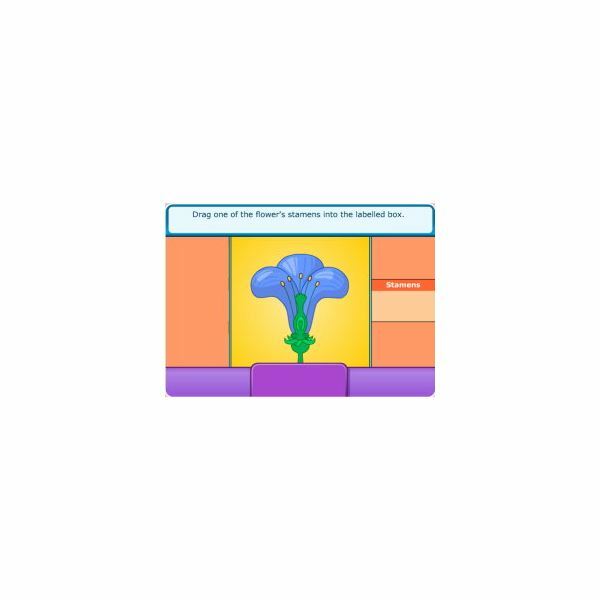 The value of this game comes with the information provided for each plant part that will help you understand how a plant's body generally works. This "Quiz Your Noodle: Bacteria" game is part of National Geographic's series of educational quiz games. This particular one concentrates on Bacteria. Ten questions are asked. After you have answered a question, the game will tell you if you got it right or wrong, and then it gives you some information and explanation on the answer. If you like playing trivia games, you will love this well designed quiz. You can also try the other quiz games tackling other topics like water and microbe poop. 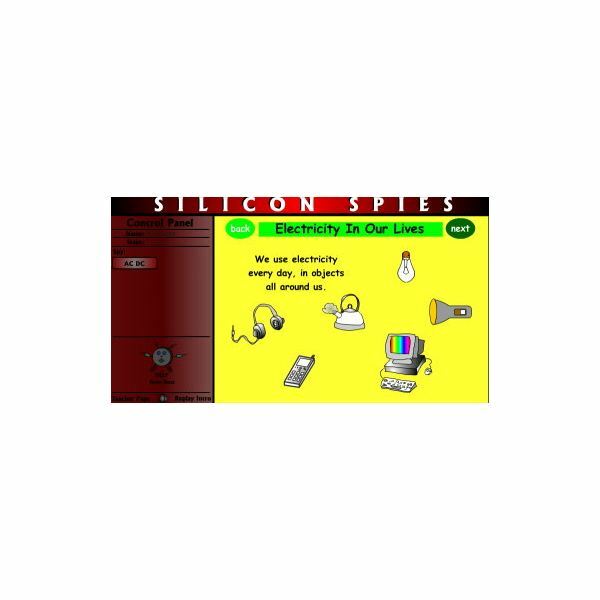 Silicon Spies, an interactive game may not be the most visually attractive science game out there, but its way of mixing storytelling, learning and gaming is quite endearing. The premise of the story is that a villain is trying to take out the power of a city and it is up to you and your spy friends to stop him. Your spy friends guide you through the story by offering information on the different aspects of electricity while asking you to interact with certain story elements like figuring out what kind of objects run on electricity and what objects do not. Its crude graphics will soon fade in the background, leaving you with an engaging comic book-like atmosphere that is both educational and fun. The object of this game is to build a food chain based on what you have learned from the discussion before the game actually starts. 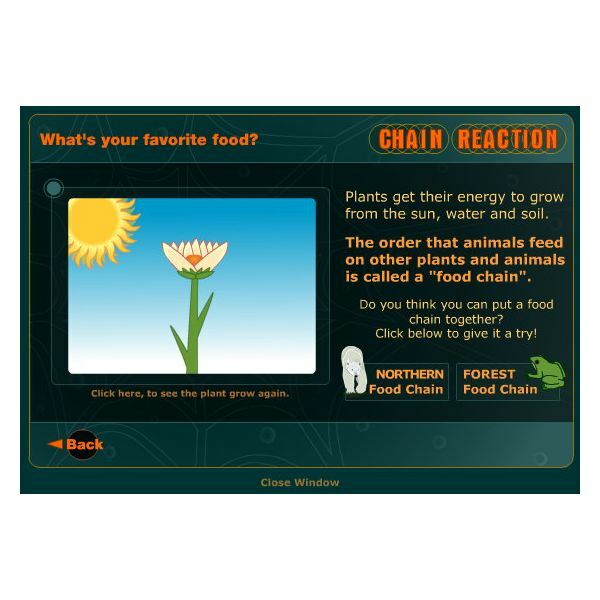 How the food chain works is explained by displaying information about the types of food, why food is essential and the different categories of animals based on what they eat. At the end of the discussion, you are given the option to build a Northern food chain, featuring shrimp, fish and polar bears, or a forest food chain that features the sun, frogs and owls. You build the food chains by dragging items in a specific order. Once you get the right order, more information is provided, particularly what will happen if an animal from the food chain is removed. Play this game directly from Ecokids website. Some science games for kids online are straightforward arcade games or quiz games that offer information about a certain topic. 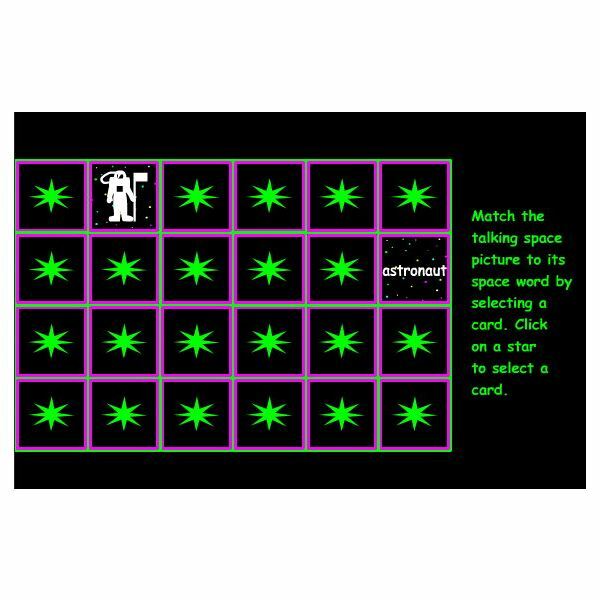 This Space Vocabulary Memory Game, however crude the graphics may be, offers a different approach in learning. It is a spin on the classic memory game where one is required to open two boxes at a time and match a two images, words, or a mix of both. This memory game helps kids improve their vocabulary of space-related words as they are required to associate a word with an image. You may also want to check another Brighthub article on the best free science games online for kids.